"Leggings are so naked, so form fitting, so exposing. Could you think of the mothers of sons the next time you go shopping and consider choosing jeans instead?" a Catholic mother wrote. 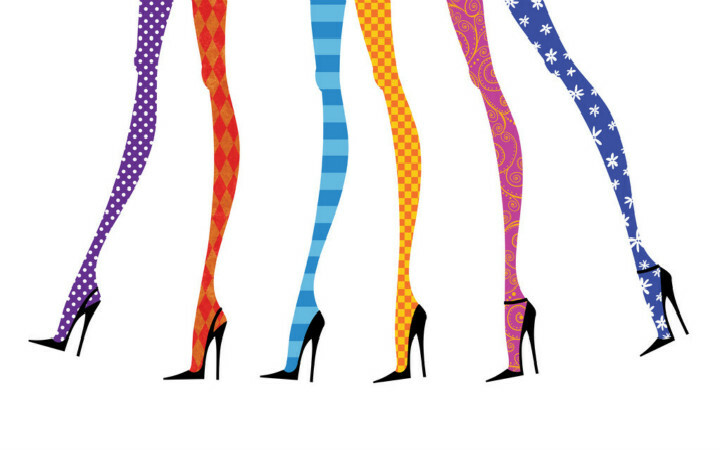 Maryann White urged female students to stop wearing leggings in a letter to the editor last week in The Observer, a student newspaper serving the University of Notre Dame, Saint Mary's and Holy Cross Colleges. She said young women wearing leggings make it harder for men not to look at their bodies. She said she was ashamed for the women she saw wearing leggings and crop tops at a Catholic Mass she attended. "You couldn't help but see those blackly naked rear ends. I didn't want to see them — but they were unavoidable. How much more difficult for young guys to ignore them," White wrote. White also blamed the entertainment and fashion industries for making it hard on Catholic women to teach their sons that women should be respected. The letter blaming women's clothes for men's sexual behavior inspired students at the University of Notre Dame in Indiana to organize a movement and wear leggings to protest White's views. Anne Jarrett, a junior majoring in philosophy and gender studies, is also an activist at Irish 4 Reproductive Health, a campus advocacy group for reproductive rights. She helped create the protest and a Facebook event called Leggings Pride Day. Jarrett, 21, wasn't surprised by White's point of view because she heard similar arguments in catechism classes and in Catholic school while growing up. There's a double standard around modesty, she said. Faculty and students from a diverse array of ages, races and genders expressed their support of wearing leggings and posted on social media. People from other parts of the country shared their support as well. Jarrett was impressed by people's responses to the movement. "My guy friends have sent pictures to me in leggings. People in classes have said, 'Look at all of the guys in my class wearing leggings today.'" Jarrett said. Many people, some of whom tend to shame women and harass them online, were not on board with the leggings protest. Jarrett received sexually inappropriate comments on Twitter when she posted her pictures with short leggings. But in the end, she didn't want to focus her attention on the negativity. "College women have most likely been picking out our own clothes for a long time and we are going to continue to do so," Jarrett said.